Flash NEWS!!! 64,371 RRB ALP Jobs. Railway Recruitment Board filling various Assistant Loco Pilot Jobs for the year 2018-19 through CEN 01/2018. For this purpose, RRB released RRB ALP Recruitment 2018 Notification. Candidates who aimed for Railway jobs can make use of this opportunity. But to apply for these RRB ALP & Technician Jobs candidates should know the Eligibility Criteria, Application Process, etc. So without being late, check the complete details and apply for these RRB Technician Jobs & RRB Asst Loco Pilot Jobs from www.indianrailways.gov.in RRB ALP 2018 Application link available from 03rd February to 31st March 2018, 23.59 Hours. 1st Stage Computer Based Test Result of RRB ALP 2018 Announced on 02/11/2018. The 2nd Stage CBT will be decided to conduct from 12/12/2018 to 14/12/2018. Check RRB Result ALP 2018 Link for detailed info. Submission of Additional Educational Qualifications and modification of selected RRB, Post preferences & Exam trade from 01st Oct, 11:00 Hrs to 06th Oct, 23:59 Hrs. Read Official Notice. RRB ALP Notification 2018 released for 26502 Railway jobs. Later, Vacancies increased to 64,371. This is a very good opportunity for the candidates aiming for Railway jobs as well as 10th based Jobs. This particular notification is to fill the ALP Technician jobs. Railway Recruitment Board released this notification to hire the candidates from the various states. Candidates from the different states can apply for these jobs on or before the last date on www.indianrailways.gov.in. The complete details of notification are provided in the following sections of this page. The details may include RRB ALP Jobs Eligibility Criteria, State wise Jobs, Educational Qualifications, Age Limit, etc. Name of Organization Railway Recruitment Board. Number of Jobs 26,502 Posts. Expected No of Vacancies 64,371. Name of the Posts Assistant Loco Pilot and Technician Grade III. ALP Notification Release Date 03.02.2018. Starting Date 03rd February 2018. RRB ALP Recruitment Last Date 05th 31st March 2018. Know Your Exam City, Date, Mock Test Link, Download SC ST Travel Pass 26th July 2018. RRB ALP Exam Date 09th August to 04th September2018. Raise Objections in RRB ALP Answer Key Dates 14/08/2018 to 18/09/2018. Revised Raising Objections Dates 21/09/2018, 11:00 Hrs to 25/09/2018, 23:55 Hrs. Selection of Exam Trade & Confirmation/ Modification of Bank Account 22/09/2018, 11:00 hrs to 01/10/2018, 23:59 hrs. Additional Educational Qualifications, Modifications in Selected RRB, Post Preference & Exam Trade 01/10/2018, 11:00 Hrs to 06/10/2018, 23:59 Hrs. 1st Stage ALP CBT Result Date 02nd November 2018. 02nd Stage CBT Dates 12/12/2018 to 14/12/2018. Railway Recruitment Board has announced 26,502 Assistant Loco Pilot vacancies for the candidates. Here, we have provided the state wise RRB ALP Vacancies. So go through the following table for complete information about the RRB ALP Recruitment 2018. Name of the Job: Assistant Loco Pilot and Technician Grade III. Number of Vacancies: 26,502 Enhanced about to 64,371 Vacancies. Assistant Loco Pilot – 27,795 Posts. Technician Vacancies – 36,576 Posts. As most of the people are applying for RRB Jobs, it will be a bit difficult for the officials to shortlist from the thousands of candidates. As a solution, it provided some educational requirements as well as Age Requirements for easy short-listing. Based on the RRB ALP Official Notification we have provided Educational Requirements and Age Limit for the RRB ALP Recruitment. Candidates who have completed their SSC/ Matriculation/ ITI from a recognized university. In order for this RRB Pilot jobs, candidates should have the minimum age of 18 years to maximum age of 25 years. Age Relaxation will be applicable as the government norms. Every year Railway Recruitment Board releases various recruitment notifications to fill various vacancies. Now, it came up with 26502 vacancies of Assistant Loco Pilot and Technician Grade III Posts. Later, the number of vacancies enhanced to 60,000. Aspirants who have completed the SSC or Matriculation/ ITI can apply for this RRB Technician Recruitment 2018. To apply for these RRB Grade 3 Jobs one should know the application process, Eligibility, etc. For the convenience of the applicants, here we have provided the state wise RRB Vacancies for the candidates. By using this information one can understand the number of Jobs in the RRB ALP Recruitment particular state. The Indian Railways recruitment board is one of the largest railway networks. RRB conducts various examinations for Asst Loco Pilot Recruitment of different posts in the RRB. The Eligible and Interested candidates in Loco Pilot jobs will undergo the selection process as the following procedure for RRB Assistant Loco Pilot Jobs & Technician Railway Jobs in India. Check the RRB ALP Recruitment Notification for further more details. Candidates who are still having doubts about RRB wise as well as Category wise RRB ALP Vacancies 2018-19 can read out this CEN-01/2018. This is the Official Railway ALP Notification PDF released by the Railway Recruitment Board. Download RRB ALP Official Notification 2018 PDF from below link. 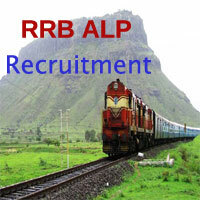 Aspirants can Apply for the RRB ALP Technician Jobs through Online. Candidates can also apply for this Recruitment from the link given below. All Eligible candidates should apply for the RRB ALP Recruitment 2018 on or before the last date. You have to redirect to the RRB Official Website www.indianrailways.gov.in to apply for the RRB Jobs. How to apply for RRB Railway Recruitment Notification 2018? First of all, visit the Official Site or the direct link given below. Read the RRB ALP Recruitment Notification clearly. Click on the Application Form Link. Fill the application without any mistakes. Upload scanned photo and signature. Pay the fee through Net Banking/ Debit Card/ Credit Card. Download the application form for further usage. The candidates who had applied for the Indian Railway ALP Jobs/ RRB ALP Recruitment can start your preparation as early as possible. Hence Railway Jobs comes under Top 5 Competitive Jobs in India, the applicants must face a tough competition. The one who has the perfect preparation only selected for these Jobs. Candidates can make use of the Railway ALP Syllabus, RRB Grade III Exam Pattern and download the Indian Railways Asst Loco Pilot Last 10 Years Question Papers PDF. Therefore, use them as a reference for the exam preparation from the below links. Here is the direct link to get your RRB ALP 2018 Admit Card. The RRB ALP Exam Dates announced as 09th August to 04th September 2018. So, keep following this page for any latest information on RRB ALP Admit Card and Exam Dates. I have applied for the RRB ALP 2018 post from Bangalore and I have forgot to mention the “”Nearest Railway Station”” option. After applying, I have seen that I have forgotten that as I wanted to select Secunderabad. So can anyone please help me with this issue? I am ajith.my qualification is BE computer science and engineering.. Can i applying for the post above? sir g medical me kya kya hota he..
sir mene modification keliye fees submit kardiya,lekin jaisehi payment submit kiya to mera a/c. se paisa katgaya.aur o page technical error dikhaya. hello sir while I am completing my fees balance reduce through my account but payment process remain as usual page repayment, what should I do? I have complete Btech in computer science. Can i apply for this post? Because while applying i can’t see any branch name. Please provide information regarding updation in ASM RRB exam date and registration date. sir actually bola Jara ha he Ki ALP Ki last date 12th March Kar did he ye news sach he ya facke he plzz reply me I am waiting for your replay…..
B.tech computer science student is eligible or not for this job. Indian Railways, Railway Recruitment Board (RRB)- Recruitment of 62907 Group-D posts. Last Dt. Is scientific calculator is allowed for ALP first stage CBT exam? sir I am studying in b.tech mechanical 8th sem. can I apply ? and if i am eleigible then in block of exam trade in 12th std there is three option electrician, electronic mechanic and wiremen ,in which option i have to select?? My registration has been cancelled please refund my money. Sir kisi karn bs hmari answer key nhi dekh paye mere kitne Number aye he ye ab kese pta kre please help me. This is very good site to get information about RRB.